Fortunately, awareness of issues like this can help you to detect and stop them from happening to your company. Here’s how you can protect your team from this malicious attempt. 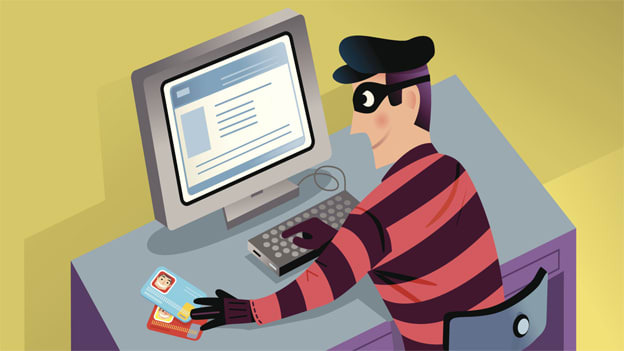 Scams are unfortunately still prevalent in today’s modern workforce setup. With more and more companies using computing systems, cloud-based data storage, and the internet to perform tasks relevant to their business operations, it’s getting easier for hackers to steal valuable information from unknowing employees. A famous example is technical support scams. Victims may receive pop-ups on their computers or get telephone calls from someone pretending to be a tech support specialist from bigshot software companies like Microsoft and Norton. The scammers will then scare or pressure your employees into thinking that all of their company data could get corrupted or lost if they don’t let the tech expert fix the issue right away. Following the initial point of contact, the following events are likely to happen: access will be given to the scammer, they could install an actual virus to get pertinent data, and even go so far as to commit identity theft. This could pose threats both to the company and its employees. A recent report from Microsoft reveals that tech support scams can target millennials and Gen Z the most. The company also receives around 11,000 complaints a month from tech support scam victims who claim that the hacker introduced themselves as Microsoft employees. Having in-house or even outsourced technical support is a smart move for your company. This way, you have a trusted team to approach in the event of a real software malfunction or virus. Teach your employees about how to get in touch with your tech support team and advise them to trust these people for the job, and no one else. Your official tech support team can also help in strengthening the security of your network and can give more advice on how you can ensure the safety of your data. Some employees may be too shy or fearful to speak up should an attack occur. For extra measure, it’s wise to do periodic checkups to ensure that all systems are running smoothly. A secure and updated software will also eliminate the risk for other system failures. Remember: It’s your responsibility as much as your subordinates’ to be cautious and vigilant when having these procedures done. Only contact personnel from software companies you trust or have your team’s tech support run the necessary software tests for your company. Make this standard in every orientation for new employees and have bi-annual refreshers for both new and old employees. It cannot be stressed enough that having proper information about these events can naturally help your employees become cautious. Have an emergency system of who to contact, what files to back-up, and the like. It’s important to show your employees support during a traumatizing time like this, so make them feel that they have all the resources they need should something like this happen. Data is the currency of business, so it’s in your utmost priority to protect it at all times. Remember that it’s not only company information your employees should be wary about, but their personal information as well. Attacks like this can put your team into undue stress and have a chain link reaction in the whole company. Education and the availability of proper tools are your best weapons against these attacks. Have professionals in your corner so you know how else you can bolster the security of your systems from these kinds of attacks.